Tuesday can't get here fast enough <3, got all week off to play! Shouldn’t this be posted on Monday? Releases Monday at midnight, and Embargo is up. Enjoy the weekend. Pretty exciting, just a few more days! On another note, Tyrese Gibson just became a PS4 fan after reading your thread title. 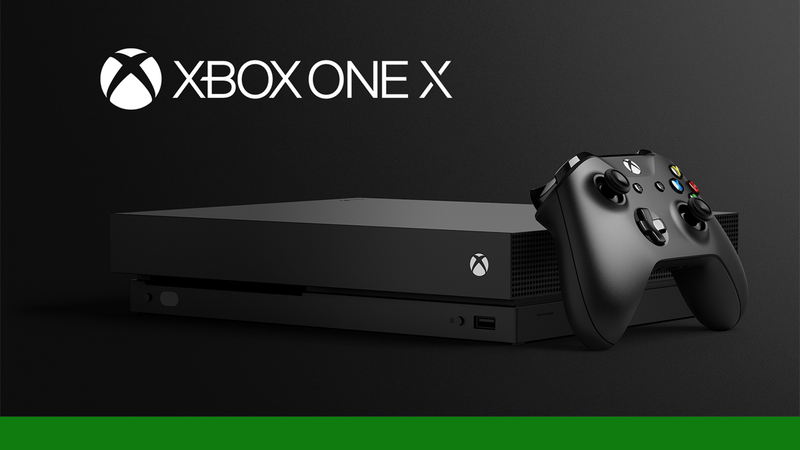 Xbox One X |OT| Scorpio. Still, excited to pick up mine with AC Origins on Tuesday! I haven't watched the entire video yet, but one thing I heard him say so far is that "this is quieter than I ever remember the Xbox One being. It's pretty much whisper-silent. (but then) Not exactly silent, but pretty damn close"
High-Def Digest Xbox One X vs Xbox One S Hands-On Review: Should You Upgrade? edit: Tom Warren mentioned that it's louder than the XB1 - more akin to a standard gaming PC. I’m actually really glad I never played Gears 4. Now I get dat enhanced 60 FPS feel. Start of a new era, feel true VP Spencer vision. Reading a lot of similar sentiments as last year's PS4 Pro. It's good if you want to play games that are well supported, but it's certainly not for everyone just yet. Our guy Adam seemed to be pretty happy with it running on a 4k tv, but thought it fell into the same kind of trap as the Pro by not really seeming to do too much for owners of 1080p sets. The HDR split screen comparison feature in GOW 4 is a game changer! Very impressive hardware, with not enough enhanced software (yet) to showcase it. Assassin’s Creed seems to be the highlight, measurably more impressive. You get a certain downsample on Xbox One X tho. Where in Pro you are in the hands of the dev doing it. I don't agree. This thing should be reviewed as a consumer product with a proper cost-benefit approach aimed at the actual end user. The technical side is only interesting to a small niche and will be extensively covered by Digital Foundry and the like. Looking so forward to this. Even as a 1080p TV owner. The embargo is officially up. Expect non-stop impressions from the press through release. The One X has system wide down sampling, whereas PS4 Pro relies on the developer to implement it. That’s a pretty decent nod to 1080 folks. Lowly 1080p user here. I'd like to thank Taco Bell, hope to get a new TV soon. I don't even need to read any review to summarize 99% of all the reviews. "Impressive tech, but for only the few." Yeah, you've got down sampling effectively providing some aliasing and the potential for some more steady framerates thanks to the extra power. The main take away from that was that it wasn't really making too much of a difference to how games were looking on a 1080p set. Can't see any of the OP's images... but that won't stop MY HYYYYYYYYPE!!!! My YouTube feed just got bombed with X stuff...I WANT IT TO BE TUESDAY!!! Scorpio on Tuesday, First game I'm firing up is Wolfenstein 2. I'm prepared to be impressed. I can see the images on my computer and phone, but not the browser on my Xbox. Images are not showing for me on iPhone either. Ah, IMGUR is why. Use http://abload.de and then we will be able to see your OP! Can’t wait AssCreed/gears 4/Forza 7. Most of my usage will be for 4K blu Ray. nihilence Can you rehost the pics on abload? They are not showing on several platforms. I have changed images to abload, hope that helps. Can't wait! Going to be an awesome week of gaming.